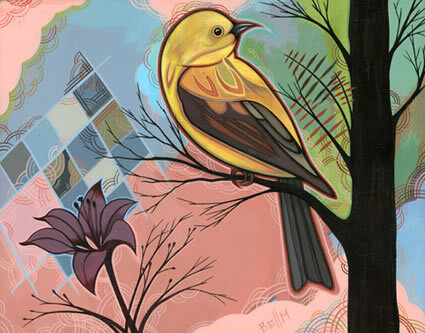 Paul Chatem was born in Bellevue, Washington and raised in La Crescenta, California. He grew up exploring the surrounding foothills, drawing pictures, and obsessing over television and strange movies. 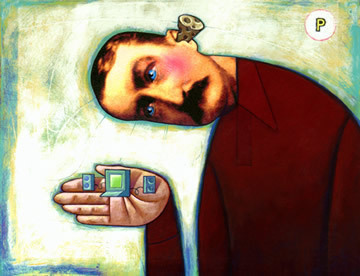 In 1997, Paul graduated from the Kansas City Art Institue with a BFA in illustration. Since then he has held many jobs in the entertainment industry, while working on his paintings for galleries and publications. 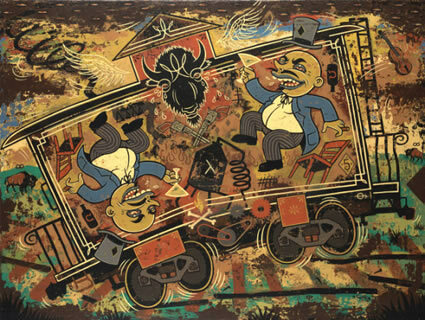 Integrating cartoon figures into painting is difficult -- "George Grosz and Diego Rivera Run Amok" is especially fun. The Fairy Tale Character and the Flame manages to contain the drama/action/interest to the two figures within the lost in the woods cartoonscape. I love this artist. The images are compelling, interesting, fun, retro. Great work. I love the movement of each of these samples. Great stories, snapshots.